Do I have a wrong thermistor or wrong code? The series resistance is 220 Ohms (Red, Red, Brown). You also need to take into account the thermistor resistance at 25C. Assuming its 10K. Hence choosing a 10K series resistance will make the calculations easier. Not the answer you're looking for? 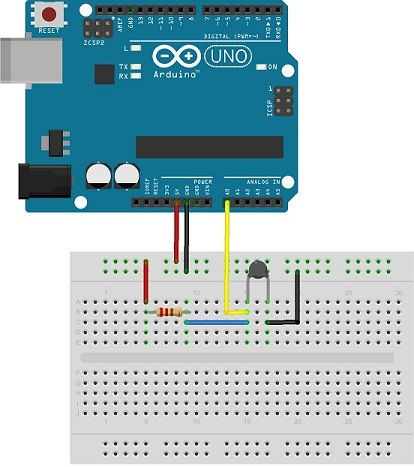 Browse other questions tagged arduino-uno arduino-ide c++ temperature-sensor or ask your own question.